As you Live Intentionally by being proactive, and by busting barriers and setting boundaries, you will make progress on your journey. Nicki Osbaldiston from New Zealand developed the following way to help women integrate the Life-Coaching Tools for being proactive (page 110), busting barriers (page 113), and setting boundaries (page 117.) She uses the Bible story of Esther to help her groups determine how the choices Esther made in her life circumstances can apply to their own present-day, real-life situations. Below are her guidelines and the questions she asks. The dialog includes the answers from one of her groups. If the group is familiar with the story of Esther, have them relate the parts of the story they remember. If the group would benefit by a full review, have various members read portions of the actual story from the Book of Esther. Once the women have the story in mind, walk them through each element of the following Life-Coaching Tools. Let them determine the answers. Briefly explain the proactive/reactive diagram on page 109. Then ask, “How was Esther proactive?” Have them talk about the steps she took based on the proactive column of the diagram. What would her thought process have been if she had chosen to be reactive? Victim: It’s not fair; why am I in this situation? Using the diagram in this Life-Coaching Tool, have the group trace what steps Esther took. She identified a real barrier: she had not been summoned to go to the King, and if she went she could be put to death. She was authentic with God. What verses would have helped Esther in her situation? She acknowledged that only God could save her from the penalty of death. She took action. She went to the King; he recognized her and called her forward. This discussion will show the women how God provided plenty of encouragement for Esther just as He promises to give to us. 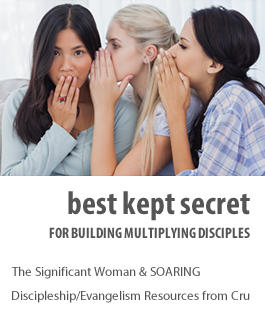 Again, use the story of Esther to show how the women can set God-given boundaries. How did Esther set a boundary for herself? She didn’t rush to place her petition before the King. She first organized two banquets before revealing Haman’s plan to the King. With God’s guidance, she decided the best time to take each step of action. Which of these three Life-Coaching Tools would be most effective and helpful to you in your current situation? Give them time to talk together about this with their peer coach and then work on the tool they selected.